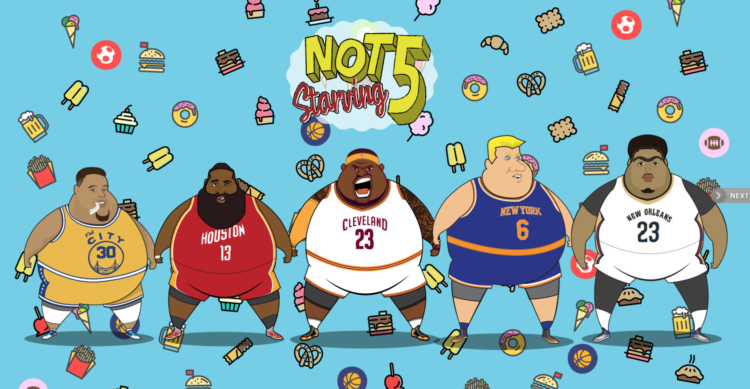 Somebody made a website showing off your favorite hoop stars as fat people. It’s pretty funny. Seeing these supreme athletes from today and yesterday as chunky guys shows off some pretty entertaining illustrations. It’s called Fat-Letes, you can check it out at http://www.fatletes.co/. Fun stuff. This got me thinking tho. The Christmas holiday is on the way and it will be here before you know it. A lot of family and yuletide cheer. But also a lot of your mom’s cooking, pecan pies and drinks with friends. This will kill a jumper faster than a size 12 on a cricket. Usually what happens is that people do the holiday thing and then decide to work it off in the new year. This almost never works. We either start off the year working hard and then slow down or stop the workouts or we just settle in and accept our new rounder frame. Do it. Get ready for the holidays and for the new year. Get up and ball out. Best kicks in week 6?